Here are listing of Epoxy.com epoxy coatings and urethane coatings. The Epoxy.com Products listed below are either pigmented or available in pigmented. Related products not specifically covered below are Primers and Sealers. Chip Flooring on the floor. Epoxy All Purpose Coating Product #1 is a 100% solids epoxy Hi-Build epoxy coating used for high foot and light forklift traffic areas where abrasion resistance is required; for protection against mild corrosion; and as a decorative waterproof coating for walls, floors, tanks, etc. Also available fast, and Cold Temperature Cure versions. Zero (0) VOC Epoxy. Epoxy Product #1W is a two component, 100% solids epoxy Hi-Build epoxy coating used for high indoor traffic areas where abrasion resistance is required; for protection against mild corrosion; and as a decorative waterproof coating for walls, tanks, etc. Zero (0) VOC Epoxy. Clear Chemical Resistant Epoxy #15 on a dental Lab Top. Product #15 Chemical Resistant Epoxy Resin Flooring / Floor Resurfacing System for Seamless Epoxy Quartz Flooring is a two component, seamless 100% solids clear epoxy flooring / floor resurfacing system with High Chemical Resistance. 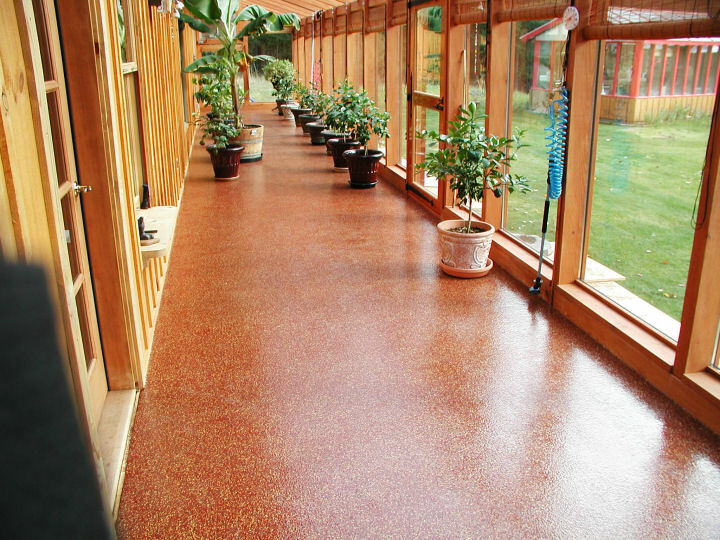 The epoxy may be applied as a coating, or combined with silica sand or Epoxy.com multi-colored quartz aggregate to produce a durable, easy to maintain floor, on both new and old surfaces. Epoxy.com Product #15 is also commonly used for resealing epoxy bonded stone, to seal acid stained floors and as a carbon composite fiberglass layup resin, and as a clear chemical resistant coating. Epoxy Coating Product #315BC and Base Coat for the 315Chip Flooring System. It can also be used as a stand alone coating. If Epoxy.com Product #315BC is used as a stand alone coating over concrete, it is recommended that you first prime with Product #899 Primer. Zero (0) VOC Epoxy. Epoxy Coating Product #315BC - Fast Same as Product #315BC Polymeric Coating for Base Coat for the 315Chip Flooring System, but with a fast cure. Zero (0) VOC Epoxy. Epoxy Coating Product #315BC-Cold Similar to Product #315BC Polymeric Coating for Base Coat for the 315Chip Flooring System, but with a cold temperature cure. Zero (0) VOC Epoxy. Epoxy.com Product #1 Fast - is a shorter potlife, and faster setting version of Epoxy.com Product #1, Zero (0) VOC Epoxy. Epoxy.com Product #1 Cold Temperature Cure is a version of Epoxy.com Product #1 that sets even faster than Product#1 Fast. Typically used in colder temperatures, or where an very fast cure is required. Zero (0) VOC Epoxy. Epoxy.com Product #2 Fast is a shorter potlife, and faster setting version of Product #2 Zero (0) VOC Epoxy. Epoxy.com Product #2 Cold Temperature Cure & is a version of that sets even faster than Epoxy.com Product#2 Fast Cure. Typically used in colder temperatures, or where an very fast cure is required. Zero (0) VOC Epoxy. Epoxy.com Product #204 Cold Temperature Cure Polymeric Coating - is a specially formulated coating for cold temperature applications. Able to cure at temperatures as low as 35�F. It is often used in coolers and food preparation areas that require constant low temperatures. It is also frequently used in room temperature applications to meet super-fast cure, limited shutdown needs. Zero (0) VOC Epoxy. Epoxy.com Product #630 Novolac Coating/Mortar Binder - a 100% solids epoxy Novolac ideal for harsh chemical and solvent resistant applications. It is ideal for use as a troweled mortar, slurry binder, and coating for concrete and steel in extremely corrosive areas where resistance to 98% sulfuric acid or other strong caustics is needed. Epoxy.com Product #630 Novolac Coating/Mortar Binder is ideal for use as a protective coating for concrete and steel in the extremely corrosive areas of chemical plants and pulp mills secondary containment areas, water and waste treatment, and gas and electric utilities. Zero (0) VOC Epoxy. Epoxy.com Product #633 Novolac Coating is a 100% solids epoxy Novolac coating ideal for harsh chemical and solvent resistant applications. It is used in secondary containment, solven storage, pump pads, trenches, and other high exposure areas. It is ideal for use as a protective coating for concrete and steel in the extremely corrosive areas of chemical plants and pulp mills secondary containment areas, water and waste treatment, and gas and electric utilities. Epoxy.com Product #633 Novolac Coating is commonly used as a seal coat for Epoxy.com MORTAR SYSTEMS where chemical resistant performance is required. Zero (0) VOC Epoxy. Epoxy.com Product #2 Chemical Resistant Coating is a two component, 100% solids epoxy chemical resistant coating used to protect chemical concrete, steel and other structural materials from non-oxidizing acids and alkalines for both interior and exterior applications. Available in normal, fast, and Cold Temperature Cure. Also available fast, and Cold Temperature Cure versions. Zero (0) VOC Epoxy. 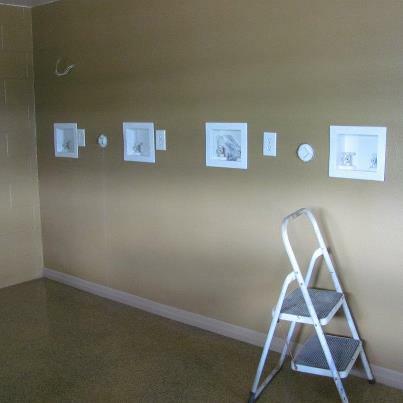 Epoxy.com Product #2W Chemical Resistant Wall Coating is a two component, 100% solids epoxy chemical resistant coating used to protect chemical concrete, steel and other structural materials from non-oxidizing acids and alkalines for both interior and exterior applications. Zero (0) VOC Epoxy. Epoxy.com Product #629 Chemical Resistant Conductive Flooring is a 100% solids epoxy Novolac Conductive coating ideal for severe chemical and solvent storage requiring conductive and spark proof surfaces. Applied at a nominal 1/16 inch, the Epoxy.com Product #629 Chemical Resistant Conductive Flooring offers the superior chemical resistance of a Novolac Resin System while maintaining a conductive surface. Zero (0) VOC Epoxy. Epoxy.com Product #402 - 2 Component Chemical Resistant Coating - is a two component1 chemical resistant polyurethane coating with gloss finish offers excellent abrasion resistance, chemical and stain resistance, and color retention. Epoxy.com Product #402 - 2 Component Chemical Resistant Coating can be used equally well on vertical or horizontal surfaces. It is ideal for concrete floors and walls in warehouses, storage facilities, aircraft hangers, animal housing, and vehicle maintenance facilities. Product is not for use in California Use Product #406 - Two Component Low VOC Chemical Resistant Urethane Coating when a California Compliant low VOC product is required, or desired. Epoxy.com Product #406 - Two Component Low VOC Chemical Resistant Urethane Coating - is a low VOC compliant urethane that meets all federal and state environmental air quality standards. 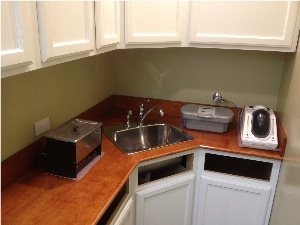 The high gloss finish offers excellent abrasion resistance, chemical and stain resistance, and superior color retention.Epoxy.com Product #406 - Two Component Low VOC Chemical Resistant Urethane Coating can be used equally well on vertical or horizontal surfaces. It is ideal for concrete floors and walls in warehouses, storage facilities, aircraft hangars, animal housing, and vehicle maintenance facilities. 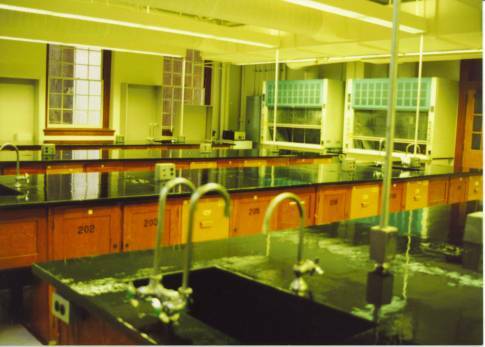 Available in both clear and pigmented formulations, Epoxy.com Product #406 - Two Component Low VOC Chemical Resistant Urethane Coating	can be used as a finish coating option for most Epoxy.com Flooring Systems. Epoxy.com Product #467 Urethane Top Coating - is a single component aliphatic urethane topcoat used to seal Epoxy.com Elastomeric Urethane Decking Systems. Exhibiting excellent resistance to ultraviolet degradation, Epoxy.com Product #467 Urethane Top Coating provides a high-build, chemically resistant finish.